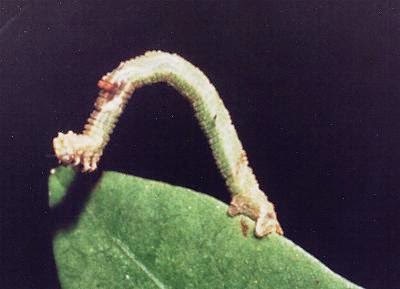 Many Geometridae caterpillars pull their bodies into loops as they move as they lack the first two or three pairs of ventral prolegs. Therefore looping is their best means of progression and this movement gives them some of their names - Inch Worms because they measure off one inch as they progress. This method is especially suitable for moving over rough terrain. Some Caterpillars of this family are also called Twig Caterpillars because they can raise themselves and stand on their claspers, sticking straight out at an angle and so looking quite like a twig. Geometridae mostly pupate in leaf litter or in the soil in a flimsy cocoon. Many of the adult moths are remarkable for their camouflaged wing patters. These patterns, often wavy lines, extend across both fore and hind wings. These moths rest with wings outspread, and tightly pressed against the surface on which they are sitting. The curved markings may be the origin of their common name: 'Waves'. Some of these moths have metallic-looking markings on their wings however, most have dull coloured wings. Noctuidae - The adult (moths) mainly fly at night, feeding on nectar from flowers and their nocturnal habits gave the family it's Latin name. These are usually smooth, lacking any obvious hairs and their bodies are often green, brown or yellow and striped longitudinally. 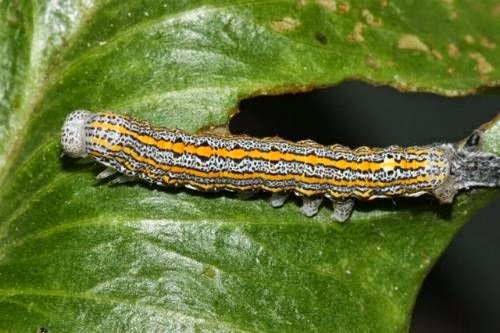 Noctuidae include many pests of crop and garden plants - the 'cutworms' live in the soil near the soil surface and they bite off young plants just above ground level at night, pulling them into their burrow. Others climb the plant and pull leaves down into the soil. Some are called 'Armyworms' because they eat their way across a paddock like an army on the march. Many species of this family are semi-loopers. Most species of Noctuidae pupate in the soil, although a few pupate in a sparse cocoon under a leaf of their food source. Plants affected: Geometridae: Wattles (Acacia), banksias (Banksia) and some others are susceptible. 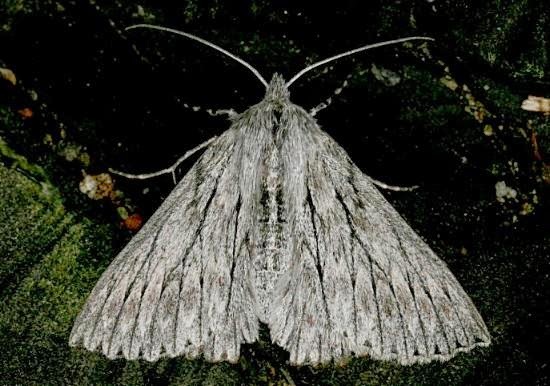 Noctuidae: A wide range, including potatoes, beans and tomatoes; plants under glass can also be attacked. Non-chemical/organic: Pick off caterpillars by hand.